Burnwell Blend 25kg (from) £329.99 per Full Pallet HouseFuel Burnwell Blend is an excellent fuel, perfect for open fires and multi-fuel stoves. 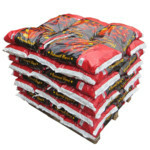 Selected Mixed Ovoids 25kg (from) £284.99 per Full Pallet Selected Mixed Ovoids is a mixture of high performing fuels, perfect for open fires and multi-fuel stoves. 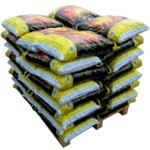 Colombian Coal Doubles 25kg (from) £269.99 per Full Pallet Colombian Coal is the best coal available on the market. 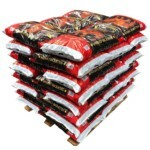 Scottish Coal Doubles 25kg (from) £249.99 per Full Pallet Scottish House Coal is a free burning fuel ideal for use on open fires. 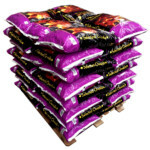 Colombian Coal Trebles 25kg (from) £344.99 per Full Pallet Colombian Trebles are a large sized fuel with all the benefits and characteristics of the best coal on the market. 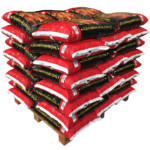 Inferno Briquettes 25kg (from) £294.99 per Full Pallet Highest heat output of our fuels, low ash and longer lasting than traditional coals.